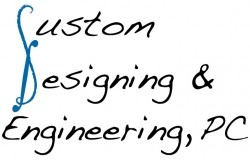 With our expert staff involved in the design of multiple projects with varying levels of scope and complexity, Custom Designing & Engineering has the expertise to design any type of educational facility MEP systems. CD&E is familiar with the wide range of potential that can be associated with primary, secondary, and post secondary school building MEP systems. Custom Designing & Engineering designed the 2,100 square foot Science, Technology, Engineering, and Mathematics classroom. The existing wood shop was renovated to accommodate the new STEM Lab equipment including a smart-board, wave washer, laser printers, and 3D printers. 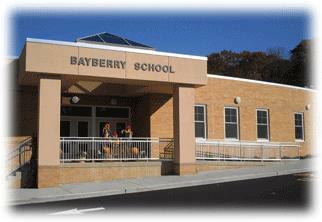 The project included upgraded electrical service and new HVAC equipment. Custom Designing & Engineering provided a feasibility study for the conversion of the decommissioned Drummond School into the new Board of Education Offices and Meeting Hall. The report outlined several design alternatives with initial cost and projected operational cost estimates. CD&E engineered an entirely new heating and cooling system for the 13,700 square foot facility utilizing high efficiency R-410A refrigerant rooftop units. The renovation also included updating the existing toilet rooms and the reconfiguration of the existing classrooms into new office space. Custom Designing & Engineering designed the renovations to the schools' existing toilet facilities. In accordance with the district's water conservation efforts, the design included the use of touchless faucets, low flush toilets, and cartridge-free waterless urinals. The design also included more efficient lighting and upgrades to the existing HVAC. The conservation measures used on this project are to serve as the basis for future renovations in the district. Custom Designing & Engineering designed the renovation to the existing 3,200 square foot Auto Shop. The design included a new hydraulic lift, air compressor, vehicle exhaust system, and an upgrade to the existing lighting. CD&E also collaborated on the replacement of the existing oil separator and 500 gallon oil storage tank.